You have to be fast to capture the perfect moment, and that’s what Camera ZOOM FX offers. 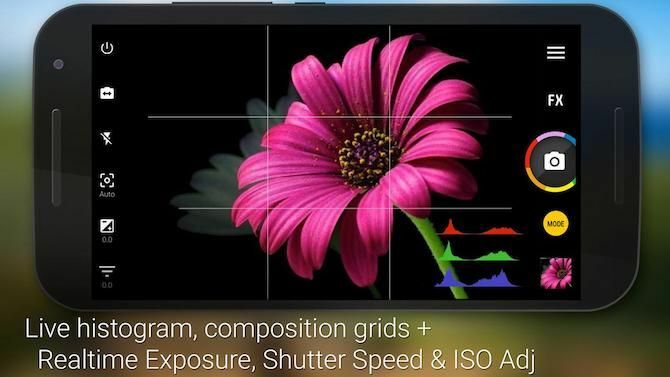 Camera ZOOM FX claims to be the fastest camera on Android, and it surely lives up to this bold claim. In fact, Camera ZOOM FX is great for its killer speed burst mode that shoots at up to 50 frames per second, which is fantastic for action shots. It also has an image stabilizer to ensure you don’t end up with a blurry photo. Keeping up with the speedy theme, Camera ZOOM FX has a fast and responsive material interface. There are full manual controls, the ability to combine multiple shooting modes, RAW capture, photo editing tools, tilt-shift, collage-maker, and much more.